After a hiatus, Personal Circle’s Founding Instructor Keith Cowley will be offering his Embodiment Clinic and Personal Circle classes in downtown Westerly at the new Studio 4 on High Street. Visit the Calendar page to find out how to schedule. Personal Circle™ is a universal foundational training system, based upon an autodidactic process of submission to self and environment by way of circular analysis, therein an integral method of moving meditation. Our philosophy (“Body is teacher, Nature is preacher”) involves embodiment of subtlety through dichotomous refinement with awareness and acceptance of Oneness. Personal Circle was created through an autodidactic process of submission focused on our “sacred 3″ principles of Structure (posture, shapes, symmetry) Breath, and Intention. Efficient exploration of our dynamic biological boundaries affords us the experiences that build our confidence to transcend the physical systems in creative and environmentally useful ways. 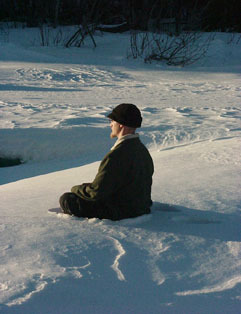 The Personal Circle system is inspired by many cultural practices, however ultimately coalesced by way of a dedicated submissive personal practice and daily application by its founder Keith M. Cowley. It is non-martial and non-lineage based. It adopts universal/cosmological and scientific language and guidance through biological geometry. 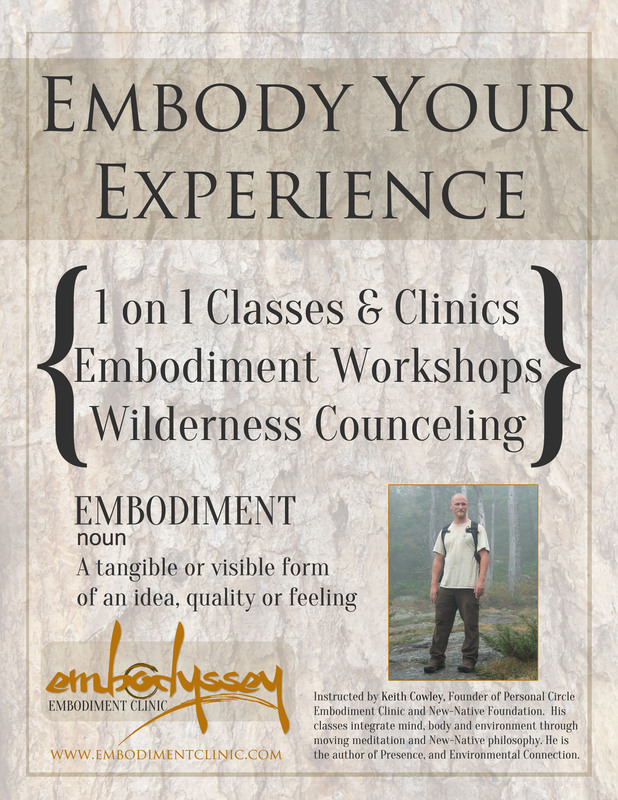 Embodiment Clinic™ is our method for teaching the foundational Personal Circle principles to the general public in a 1-on-1 setting. 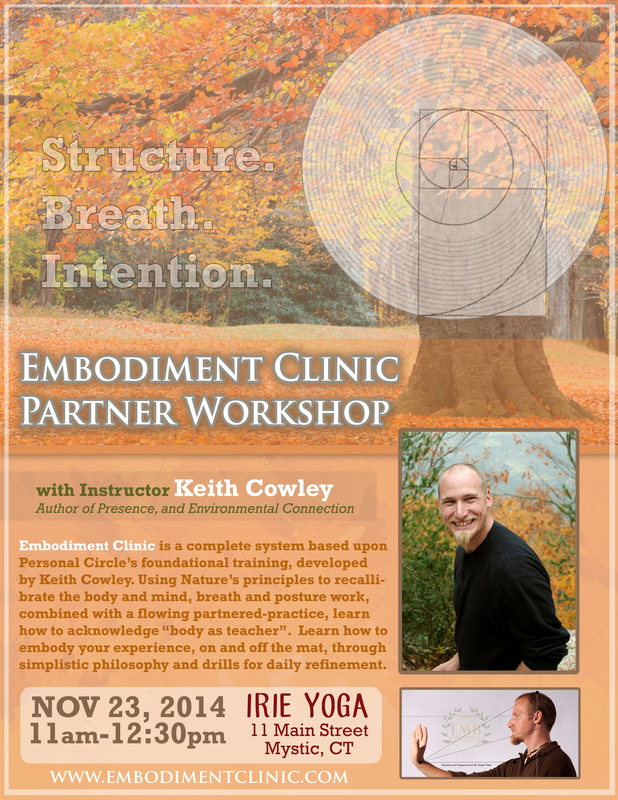 Embodiment Clinics are only guided by a Personal Circle Embodiment Clinician. A Clinic session includes 1/3 postural alignment signalling (seated and standing), 1/3 postural shape testing, and 1/3 partnered application practice. While there are obvious therapeutic benefits to the Clinic, “clinic” is also a term used for “a conference or short course on a particular subject”. “Embodiment” involves internal and external awareness of environment and potential purposeful application within it. The session enables a setting for real-time evidence-based application experience of the efficient principles. Therein, the benefits of Personal Circle practices are provided by the clients themselves as made aware by a trained Embodiment Clinician. Announcing the first “Heal Local Holiday Fair”, brought to you by East Meets Westerly, on Shop Local Saturday (November 30th, 2013)! I am excited to announce this new event in downtown Westerly, sponsored and housed by Northeast Family Martial Arts and Precision Fitness! Hosted once again by Personal Circle Center for Awareness & Embodiment Clinic, I continue to aim to bring together our health & wellness professionals showing the town of Westerly what we have to offer collectively. This is a non-competitive event, and unlike the spring exhibition event, participants will be able to be vendors. Exhibitions, free healing arts demonstrations, music, food and fun! East Meets Westerly gets a new look, and a new event! 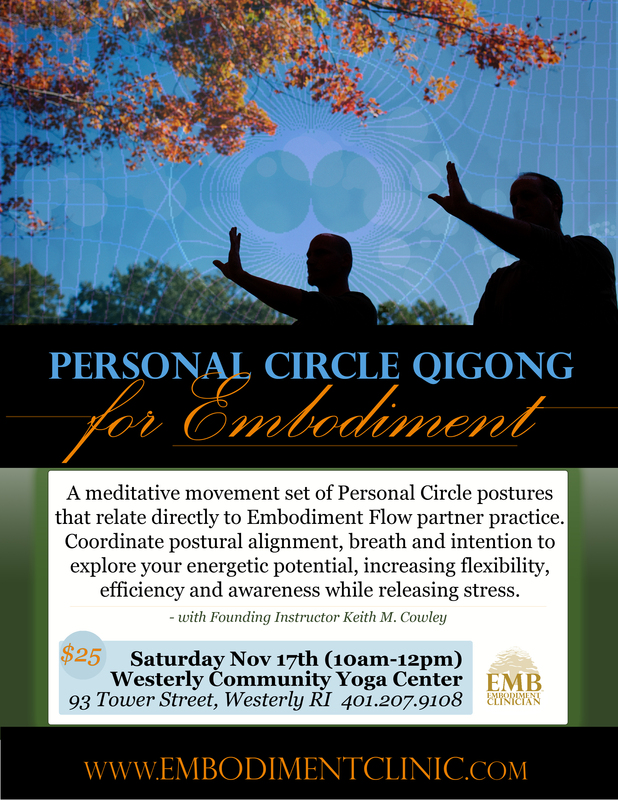 Upcoming Qigong for Embodiment Workshop at Westerly Community Yoga Center!